(Nanowerk News) In the rapidly growing field of synthetic biology, in which organisms can be engineered to do things like decompose plastic and manufacture biofuels and medicines, production of custom DNA sequences is a fundamental tool for scientific discovery. Yet the process of DNA synthesis, which has remained virtually unchanged for more than 40 years, can be slow and unreliable. 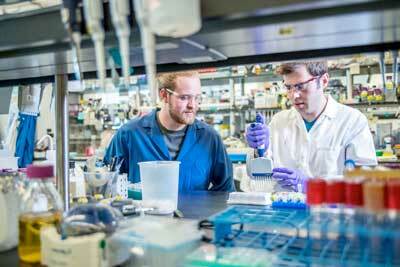 Now in what could address a critical bottleneck in biology research, researchers at the Department of Energy’s Joint BioEnergy Institute (JBEI), based at Lawrence Berkeley National Laboratory (Berkeley Lab), announced they have pioneered a new way to synthesize DNA sequences through a creative use of enzymes that promises to be faster, cheaper, and more accurate. The discovery, led by JBEI graduate students Sebastian Palluk and Daniel Arlow, was published in Nature Biotechnology ("De novo DNA synthesis using polymerase-nucleotide conjugates").